This week on The Farm Report, host Erin Fairbanks is joined by Ronny and Beth Drennan of Broadbent Country Hams. 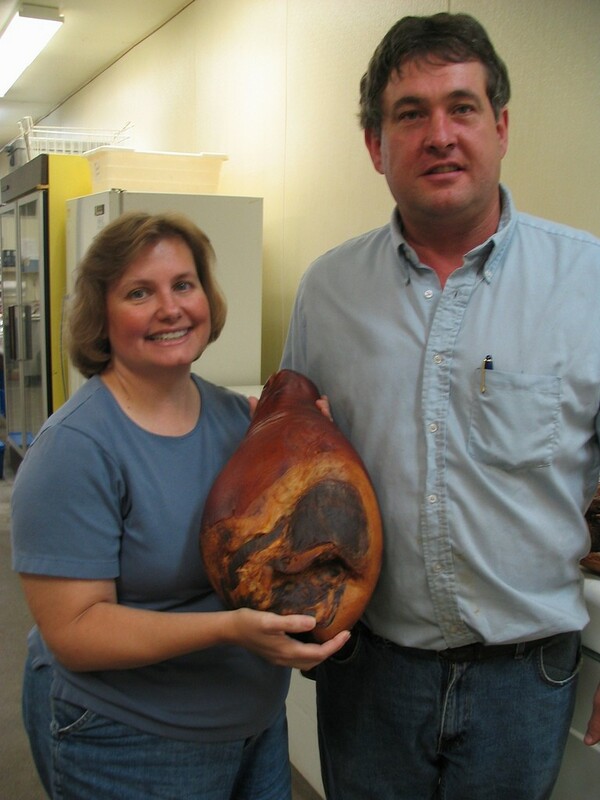 The Broadbent family started curing hams and bacon commercially in Cadiz, Kentucky, in 1920. In 1999 the Broadbent family sold the business to Ronny and Beth Drennan. The Drennans, who were in the furniture business, had always heard of Broadbent Hams and saw an opportunity. It took some time to learn the ins and outs of the curing business, but Smith Broadbent has been there to help. Today, Ronny and Beth carry on the Broadbent tradition of quality, and they have won enough awards to live up to the founder’s name. After the break, this week’s EscapeMaker segment features Matt Bowers of Four Fights Distilling in Corning, NY. On a scale of 1 to 4, how many fights were you going to get into after drinking a pint of moonshine? Bottom of the barrel rated 1, while the cleanest and strongest shines were rated at 4. So in keeping with tradition, while representing dedication to quality, the name Four Fights Distilling was chosen. If you’d like to visit any of the craft brewers or cider makers interviewed in The Farm Report, checkout EscapeMaker.com to book a 1 or 2-night all-inclusive craft beverage package with tours tastings and lodging.